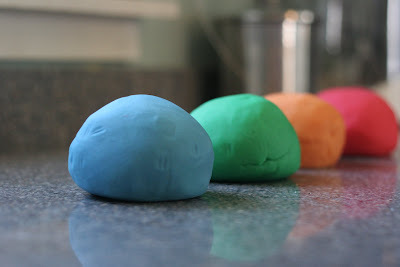 Growing up, my Mom would make homemade playdough for my brother, sister and I. 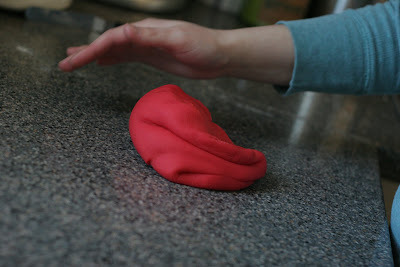 It was fun to have a big batch of freshly made playdough. I distinctly remember the feel and the smell of this playdough. My mom still makes homemade playdough for the kiddos in her Sunday School class at church. I also love to make this at home for my boys. It is fun, easy, and very affordable. 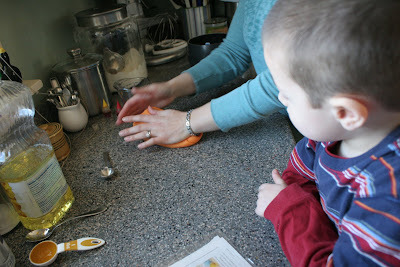 You can find a variety of scented oils or extracts to add in, giving the playdough a fun smell your kids will love. Walmart sells scented oils in their craft section. I have seen them in packages of two for $2 - grape, strawberry, cinnamon, orange, etc. These are purely for smell and are not the extracts you would use for baking. BUT you can use those too! Lemon, orange, rootbeer, and even anise or almond baking extracts are perfect for adding a fun smell to your homemade playdough. 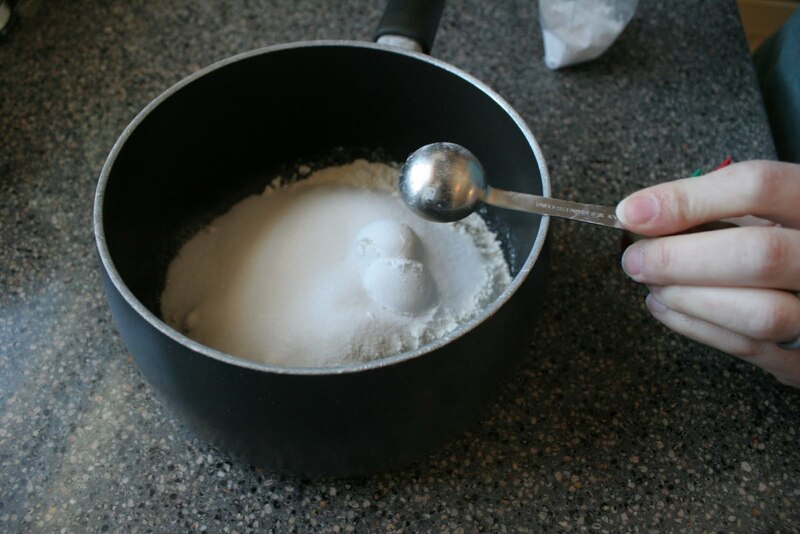 Directions: In a small saucepan (nonstick works best), mix dry ingredients (flour, salt, cream of tartar). I buy my cream of tartar in the bulk section of our local store. It is MUCH cheaper than buying the small containers in the baking aisle. In a measuring cup, mix water and oil together. 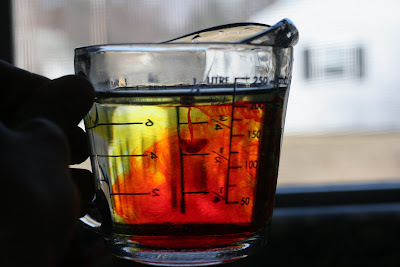 Add several drops of food coloring, until you achieve your desired color. 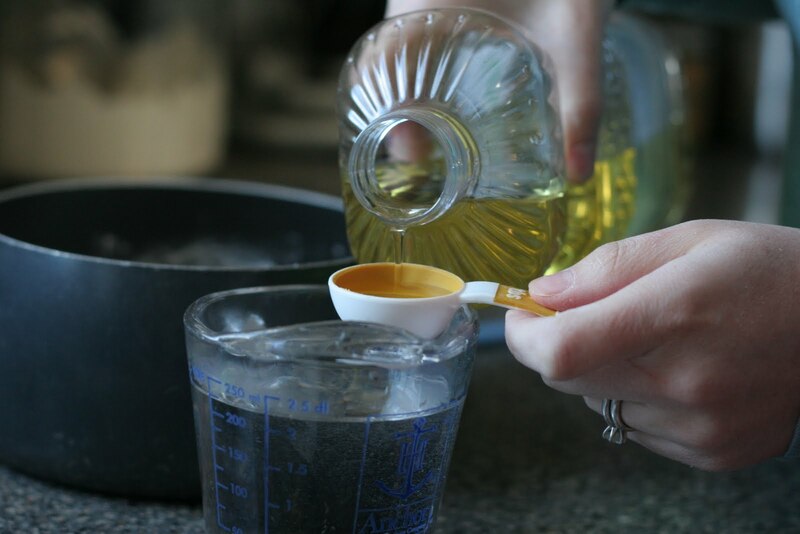 Add a few drops of scented oil or extract, if using. 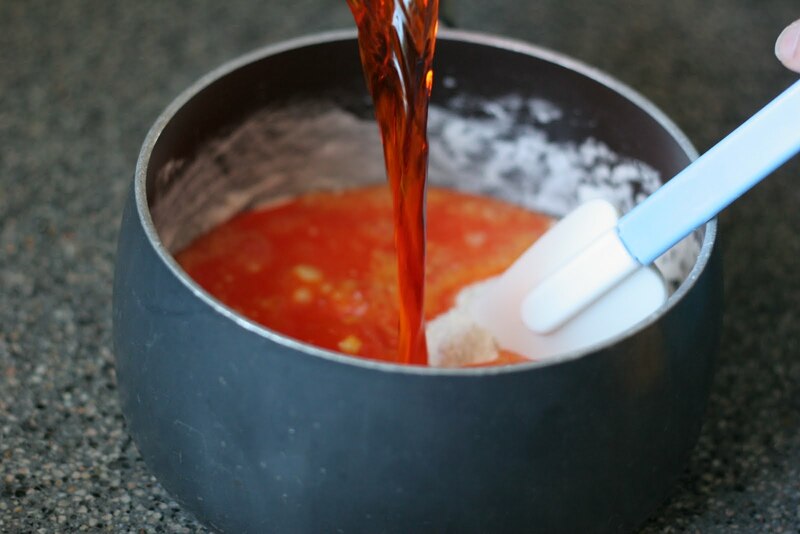 Pour the wet ingredients into the the pan with the dry ingredients and mix until well combined. 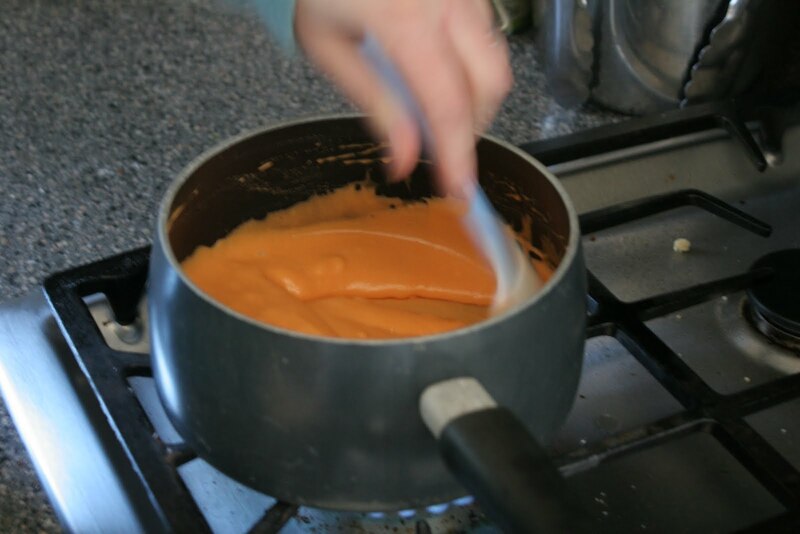 Place pan over medium heat, stirring continually, until dough forms. As soon as you start to see the dough form a skin (about 1-2 minutes), remove from heat. Let cool for one minute, and then knead for two minutes. Make another batch, or two, or three. 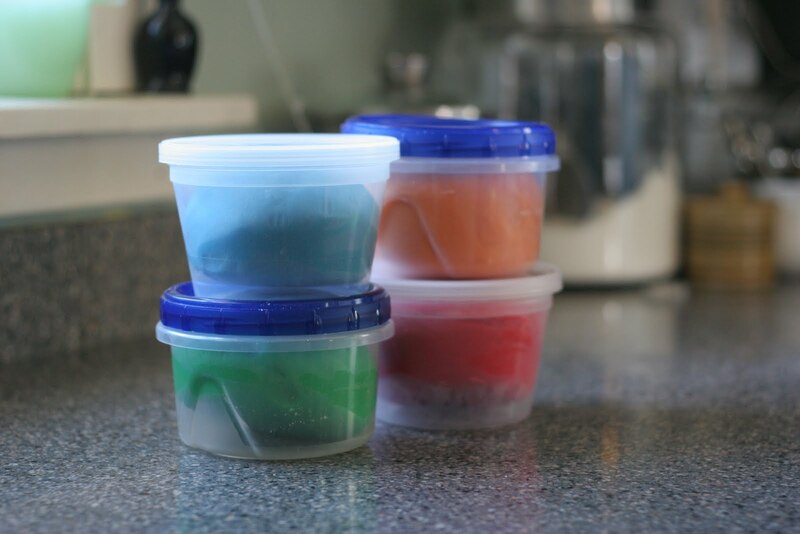 Store in airtight containers, or ziplock plastic bags. So does Jack. He enjoyed making rainbow gingerbread cookies :) Making homemade playdough is super easy, super fun, and frugal. You can create a wide variety of colors and scents. Give it a try, and let me know what you think! All pictures in this post were taken by Travis. You can check out his amazing photography blog here. Don't forget to enter the Silpat giveaway here! 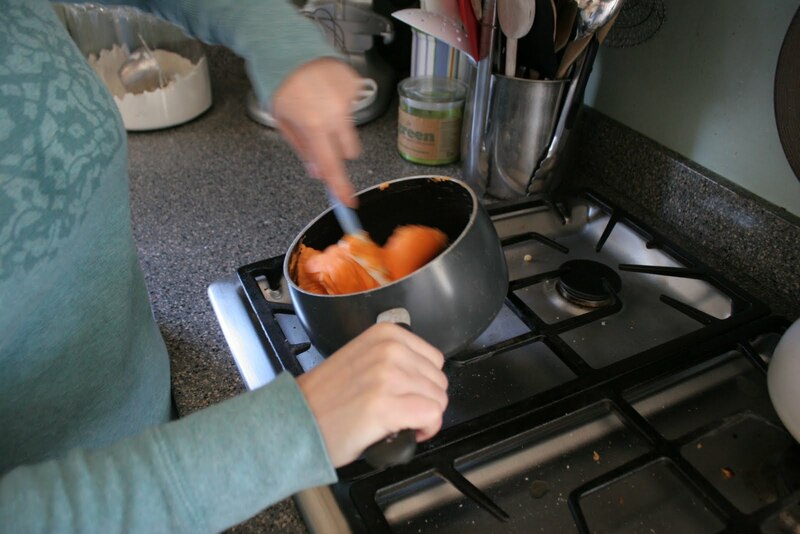 Oh, I use this exact same recipe! 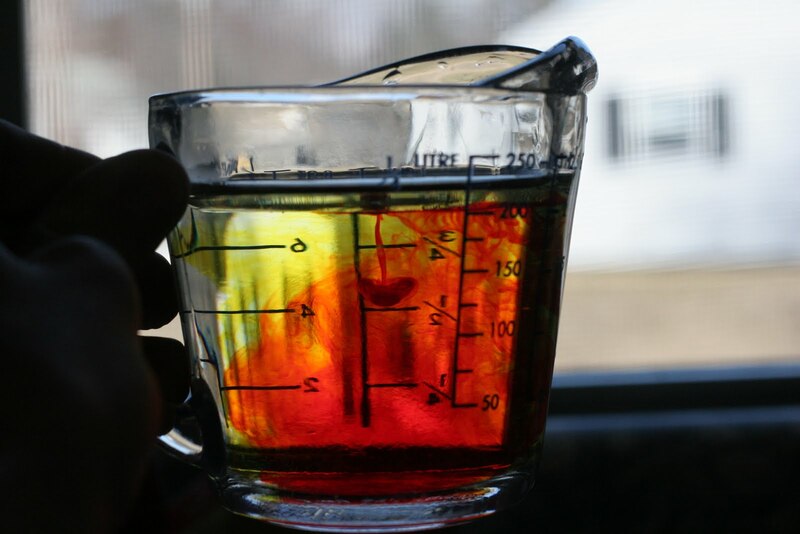 I like the idea of mixing the food color in with the liquids though, I haven't done that before. 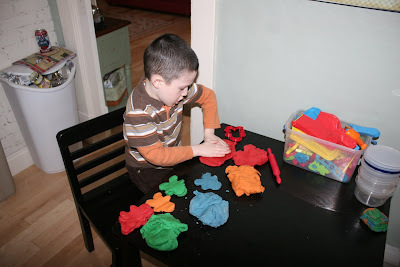 I think homemade play doh is the best. It stays soft forever and seems to make a nice quantity. I haven't tried the scented oils before (stinky old flour smell for my kids, hehe) and I didn't know about the fruity smells in the craft section. Thanks for the hot tips and the step-by-step pictures. This is great! How long does this store? I used another recipe and was amazed to find that in less than two weeks, it had gotten moldy - stored in ziploc bags inside our "playdough bucket" in my dark, unheated pantry. That was back in the winter - so it was about 50* F in there. Thanks for the tip about the scents / flavorings. 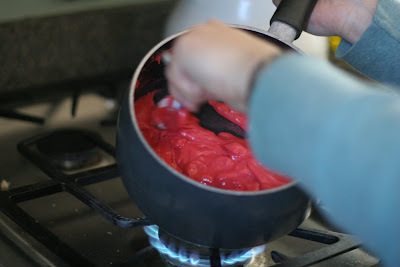 We'll try that the next time we make playdough. This will last for months if you store it in an airtight container. The salt works as a great preservative. I made batch in February that is still soft. There may have been a hole in your bag or it might not have been sealed tightly? I would try an airtight container instead next time and hopefully that will help! I linked from One Pretty Thing and am going to make this today. Thanks for sharing! I am just like you! My mom used to make this for me and my siblings too...and I can totally remember that smell. =) She used to put a beach towel in the kitchen floor so we could "make dinner" while she really made dinner. Good memories. Thanks for sharing the recipe! It makes it smell yummy and these are free or near free this time of year. Is the cream of tarter necessary or can I leave it out? 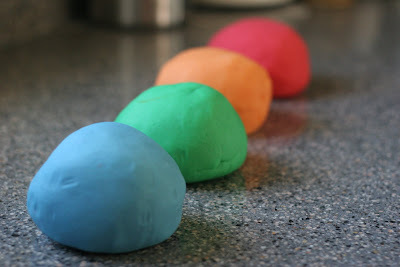 I've never made play dough before but I would really like to. 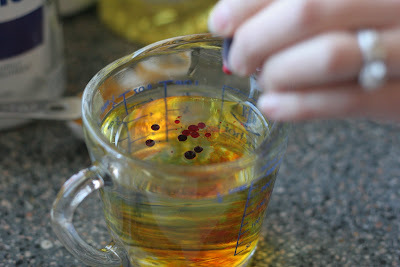 I'm worried about the food coloring staining a table or my countertop. Does it stain? Yes, the cream of tartar is necessary. It won't come out right without it. And it helps preserve it. It shouldn't stain, but you can put down a piece of plastic wrap, or knead it inside a big ziplock bag if you are worried. I haven't had a problem yet with staining, but I have granite countertops. 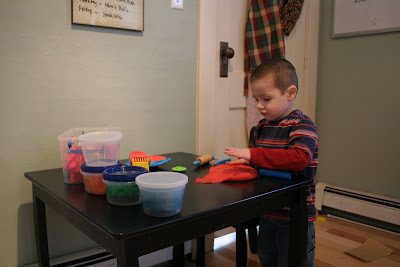 have fun making playdough! Thanks for the koolaid tip! Ahh I'm so excited I made my first batch last night! Purple playdough! Thanks for such a great site,lots of plans to make lots of this stuff! Hi Andrea, what can you substitute for cream of tartar?I am currently working as an import export home business owner and I have a lot more time for my kids, lately they have been making a lot of clay shapes. Thanks for sharing! I just made some with by boys and they loved making it almost as much as playing with it!